The government hopes to persuade healthy UBI to merge with bailed-out Monte dei Paschi and struggling Carige, according to Reuters. Deeps cost cuts would be needed to make a respectable return on equity. And the two weaker banks may need more capital to cover dud loans. 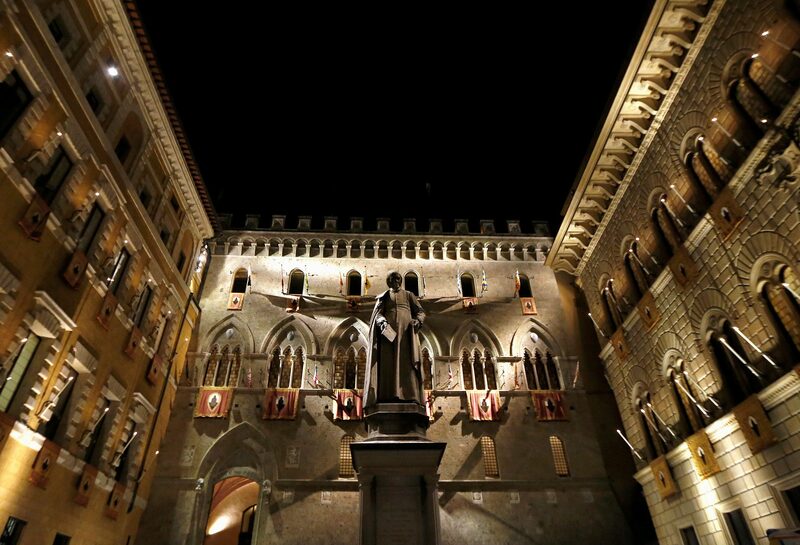 The Monte dei Paschi bank headquarters is pictured in Siena, Italy August 16, 2013. The Italian government is considering merging troubled banks Banca Monte dei Paschi di Siena and Banca Carige with healthier rival UBI Banca, Reuters reported on Jan. 18 citing sources familiar with the matter. UBI supervisory board Chairman Andrea Moltrasio said on Jan. 21 the bank, Italy’s fifth-largest lender by assets, has not been contacted by the Italian government to help prop up Monte dei Paschi and Carige. Chief Executive Victor Massiah said on Jan. 21 the conditions are not there for banking consolidation in Italy. The Italian state rescued Monte dei Paschi in 2017 through a cash injection and is now its biggest shareholder with a 68 percent stake. The European Central Bank in January put Carige under special administration, following the bank’s failure to complete a 400 million euro capital increase. The state has offered to guarantee up to 3 billion euros of new funding for Carige, and to inject up to 1 billion euros of capital.